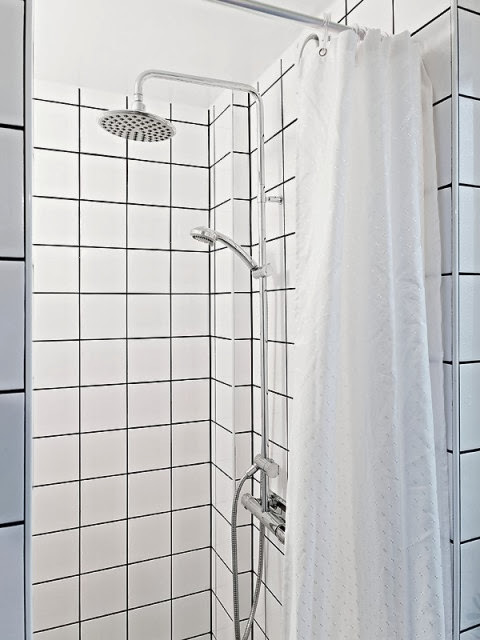 Today is our 2nd installment of our 3 part series on white tiles with dark grout. 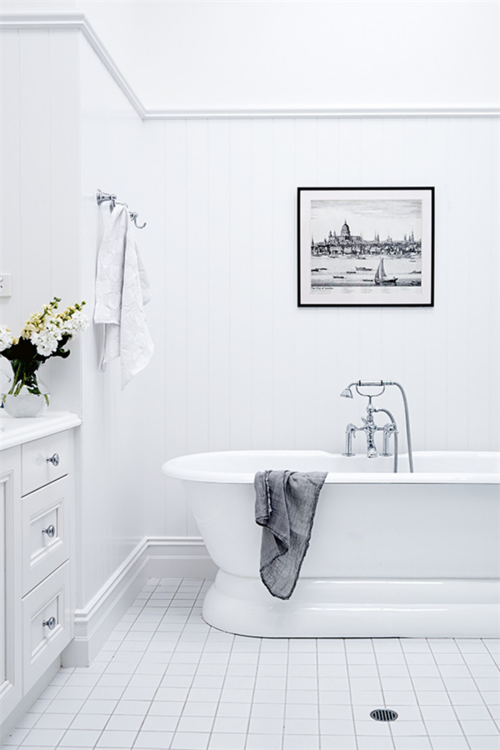 In Monday's post we looked at white subway tiles with dark grout (here). 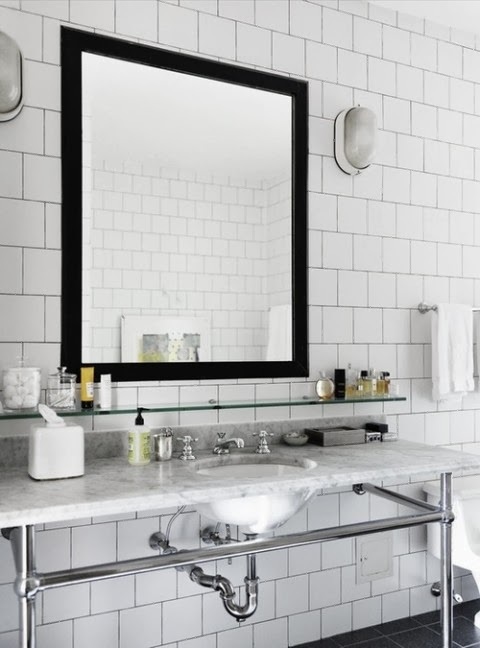 Today we'll look at square white tiles with dark grout. 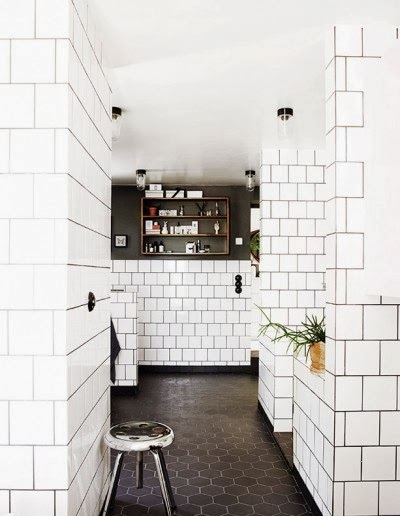 Plain square white tiles can be even cheaper than the classic white subway tile, so if you are looking for cost savings but still want that classic white look you might want to consider simple square tiles. 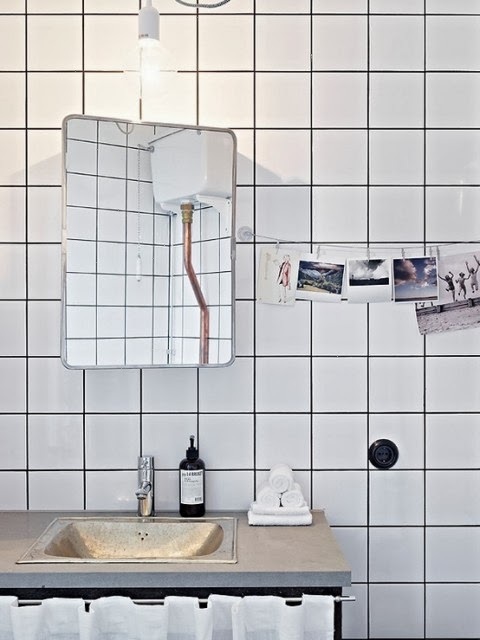 Just like the subway tile, you can't get more versatile then a plain white square tile. 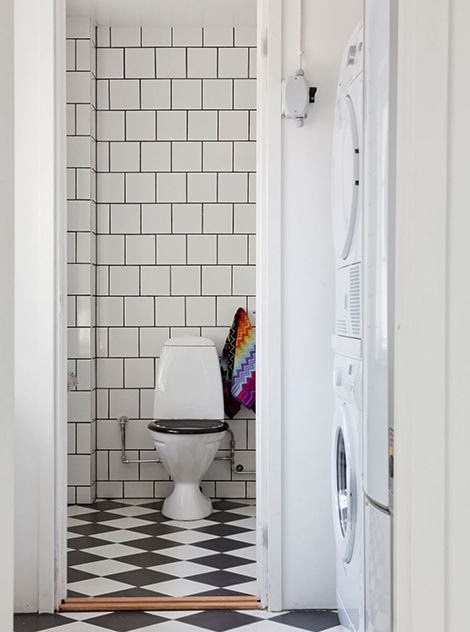 It can work in everything from a vintage bathroom to an ultra modern one. I have to admit I was not a big fan on these tiles. 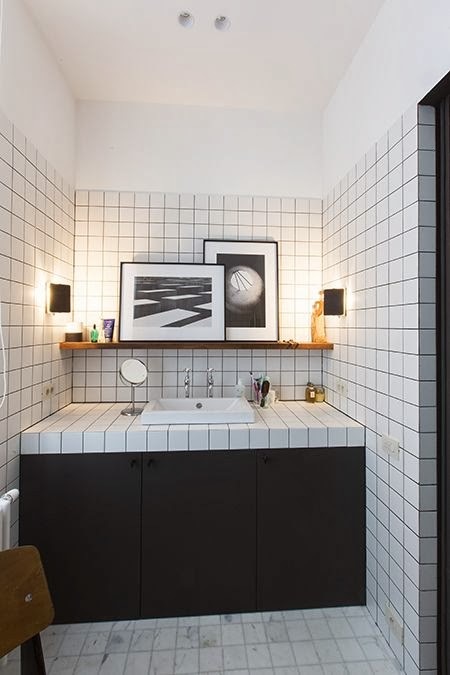 They made me think they belonged in the 80's along with big shoulder pads.After going thru my stock of photos, I might just be changing my mind about these little square tiles.